Well, actually I have more than one assertion that I have stated throughout the pages of this blog. But at least I’ve found another teacher who agrees with me on one of them. More about that in just a moment. Thank you for indulging my lapse into the previous miniseries regarding my recent purchase. It’s just human nature, I guess. When you’re excited about something you want to talk about, or in my case write about it. Now, back to the business of teaching. If you are a regular reader of The Teacher Beacon, you will probably recall that I frequently suggest that anyone who is making decisions about what happens in the classrooms needs to be familiar with the classroom. Administrators, school board members, superintendents, and policymakers whose decisions directly impact the classroom should all be required to teach in an actual classroom for at least two weeks out of each school year. If that were to happen (and you and I both know how soon that will happen), we would see an immediate beneficial result for all of us. Pamela Jordan, a teacher in Fleming Island, recently wrote the following piece for the Florida Times Union. 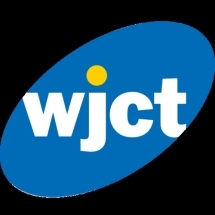 “I would like to thank WJCT-TV for sponsoring an airing American Graduate Teacher Town Hall. I was fortunate to be part of this event, along with two other colleagues from my school. I find it to the height of irony that teachers are one of the most crucial parts of a student’s life (second only to the family), and yet our opinions are almost never asked for, and our experiences and wisdom never seem to be valued by those who hold the most power–our legislators. For the most part, those in power have no real knowledge of what our students need in order to become successful, contributing members of society. Teachers are doing everything they are mandated to do by the state and federal government. Yet we are the first ones to be blamed when each and every student does not rise to the one-size-fits-all standards that have been set forth for them. Therefore, I challenge all state and local legislators, along with state and local school board members, to spend two weeks a year teaching in a public school classroom, not as a substitute teacher but performing all the duties and responsibilities of a regular classroom teacher. I guarantee that if this were to happen, the entire educational system would change for the better. You go, Pamela! You go girl. Please reference my comments at the beginning of this post.